CHICAGO — The Rev. 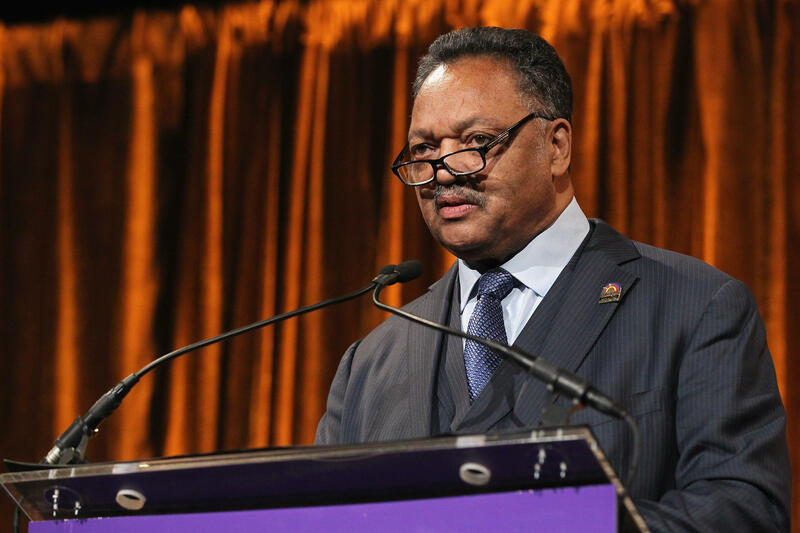 Jesse Jackson said he's relying on daily physical therapy, medication and prayer to manage Parkinson's disease, but he showed few signs of slowing down Monday as he carried on a decades-old Christmas tradition with a sermon to inmates at one of the nation's largest jails. Jackson, 76, publicly disclosed a 2015 diagnosis last month, saying he would make lifestyle changes to slow progression of the chronic neurological disorder that causes movement difficulties. The civil rights leader told The Associated Press during the services that he's scaled back his travels a bit, though he still described a busy itinerary of stops in the coming months. "My time is used more strategically," he said. "I'm traveling a little less and focusing more." Jackson appeared lively and robust during the services which featured gospel music and opportunities for eligible Cook County Jail inmates to register to vote. U.S. Reps. Danny Davis and Bobby Rush, both Chicago Democrats, also addressed inmates. Jackson said the disease is a "physical challenge" but he is following a strict treatment regimen as he continues to lead the Rainbow/PUSH Coalition, the Chicago-based civil rights organization he founded over two decades ago. Parkinson's isn't fatal, but people can die from complications. It can start with tremors, and symptoms generally worsen over time. The exact cause is unknown. Treatments include medications, surgery and physical therapy. During the services, Jackson appeared his usual self, offering wide ranging freestyle comments on the right to vote and prison reform, among other topics. He asked inmates to pledge to make changes in their lives. Many kneeled on the floor to pray. Some broke into tears. "Our mission is to get you out of here and not return," Jackson told the crowd of roughly 200 men and women. "Jail is not a hotel."